Welcome to our school. 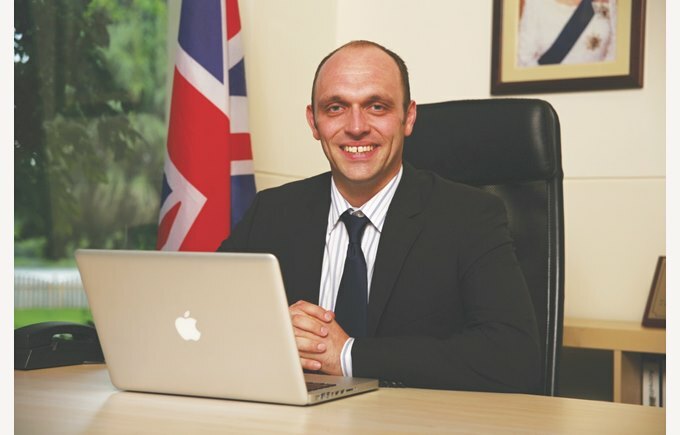 My name is David Laird and I am the Principal of the British School of Beijing, Sanlitun. I am taking this opportunity to tell you a little more about our school and our community. Located in downtown Beijing in the heart of the Embassy district of Sanlitun, we pride ourselves in being the only English national curriculum Early Years and Primary school in the area. Our prime location, our strong sense of community and our high academic standards mean that we are the school of choice for many international families who place great importance on their children’s primary education; for these are the years when children build a foundation of skills and knowledge which they will continue to develop throughout their schooling. At our school we have a team of teachers and teaching assistants who are passionate about teaching and learning and who are committed to ensuring all our students achieve success in all aspects of their development, both social and academic. As a team of educators we encourage every child within our care to take risks in their learning and experiment with ideas, whilst providing a safe and supportive learning environment in which to do so. It is important for all members of our school community to be confident, resilient members of a global society and we place high importance on embedding values of respect, patience and tolerance for all. We want our students, parents and staff to be proud of their school; to work together to ensure we can provide the best possible experiences and opportunities available for our students. This of course, requires open and regular communication and we strive to achieve this through a variety of means. At the British School of Beijing, Sanlitun it is our aim to instil a love of lifelong learning in not only our students, but our parents and team of teaching and administration staff. We are committed to recruiting the highest calibre of staff and providing them with ongoing professional development. We inspire members of our school community to be the very best that they can be; to share their talents and expertise and grow as leaders. We provide opportunities for our students, parents and staff to be involved in leading initiatives within the school and in the local community, and in particular we support a variety of local and national charities. I would encourage families who are moving to Beijing to come and visit us and experience for themselves our international school environment, a place where your children can achieve their academic potential while having a great time as well. I am always happy to meet visitors in person and take great pride in showing you exactly why we are the school of choice for so many families.